Cop killer Ronell Wilson was found sane enough to face death penalty. 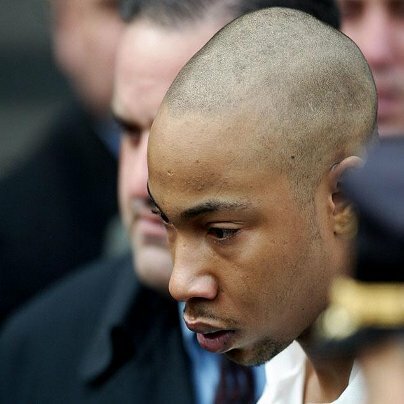 Dr. Raymond Patterson the expert witness for federal prosecutors found that Wilson was trying to use a mental deficiency claim as a last-ditch attempt to avoid facing the death penalty for the 2003 double murder of undercover NYPD Detectives Rodney Andrews and James Nemorin. A Brooklyn jury had sentenced Wilson to die by lethal injection. I'd love to hear what you guys and gals think. Please feel free to comment below. Fry him. Anyone who would kill a police officer would also kill anyone else who stood in his way. After his execution Wilson's chances of murdering another LEO is zip, zero, nada. Do it!!! Let's start up a collection for this poor offender! How much does a bullet cost? I'm sure we can get a few dollars together to help pay for it! Collection? Why bother... I'll donate the ammo - and the pistol to do it.